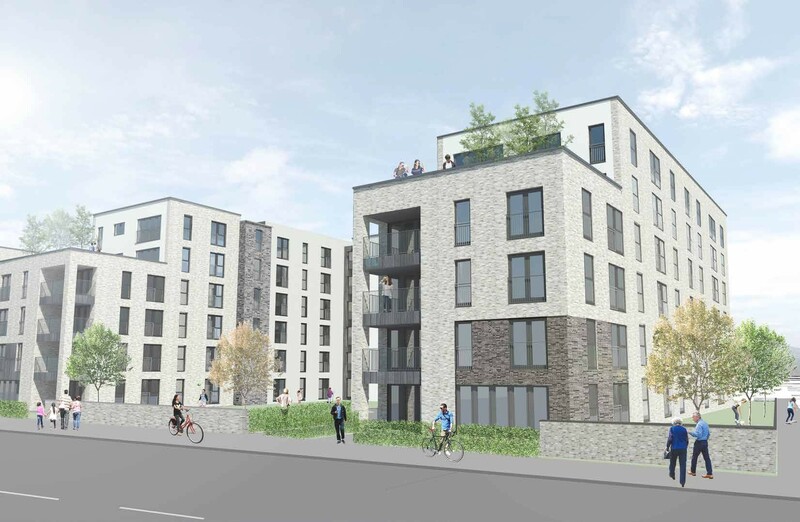 Barratt Homes have brought forward proposals for a residential and commercial development at Bath Road, taking the place of a former storage yard in the Leith Docks area of Edinburgh. EMA architects + masterplanners have been tasked with creating a new ‘gateway’ into the area by enhancing public realm along Salamander and Baltic Street’s and introducing publicly accessible landscaping. An historic boundary wall will be retained in reduced form to further open the area up. Outlining their landscape approach in a statement EMA wrote: “The open courtyards create a hierarchy of open space which is lifted from street level thus enhancing safety and developing views out of the site. Contemporary in style the properties will be finished in brick in reference to the mills, foundries and warehouses which once defined the area. 'Gateway' ...please tell me you're kidding. A 2nd or 3rd year school kid could do this or better. Come on RIAS you need to up our profession's game or is this the new norm ? At first glance, this is an odd repetitive morphology on a linear site, with the same 'condition' designed for the middle as for the 'ends'. But that's by the by. 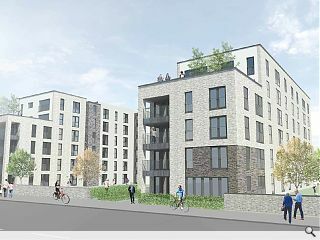 In fairness to the architects, I'd suggest that this has all the hallmarks of a totally underdeveloped feasibility study, gone straight to a planning submission, (together with a ridiculous commercial timescale) due to lack of fees by the client body. The design statement is a classic 'elastoplast' over this basic fact. There really is no design development (detail, or otherwise) in evidence and it just reads as a fait accompli. Q. What if, the planning applicants were more stringently and methodically required to provide evidence of design development as part of their submission? The buck (literally) resides with the planning system. Otherwise, the whole design team is toiling/back-tracking from start to finish. After all, surely Barratt aren't short of a bob or two?